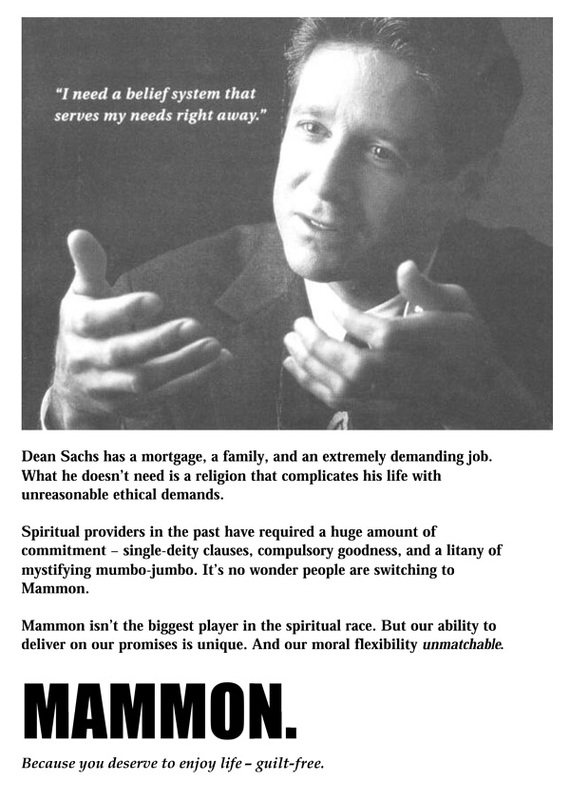 I saw this parody ad (from Adbusters) years ago when I was a postdoc at Notre Dame and nearly busted a gut. Turns out it’s difficult to track this down on the web. I’ve therefore posted it here for my future reference and your amusement. THAT is pretty dang funny. Made me laugh. That seems to remind me of an old TV commercial for a financial services company. Like a parody of Morgan Stanley maybe? Makes me think of the Mammon Tabernacle Choir, the resurrection of Lazard Freres, and the parable of the Profitable Son.